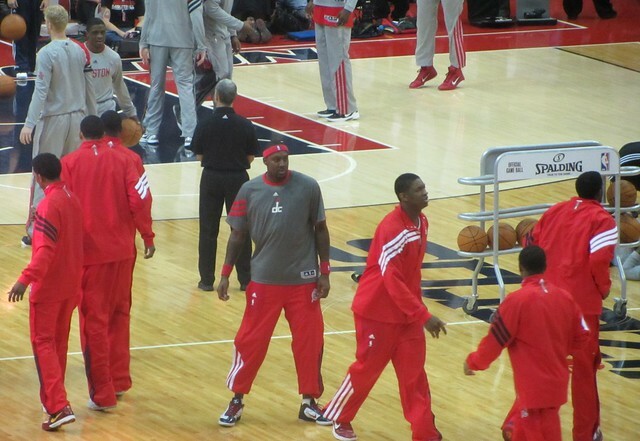 Home / Wizards Seasons / 2011-12 Wizards / 26 Games With Andray Blatche In A Lockout-Shortened Season: Is This The End? 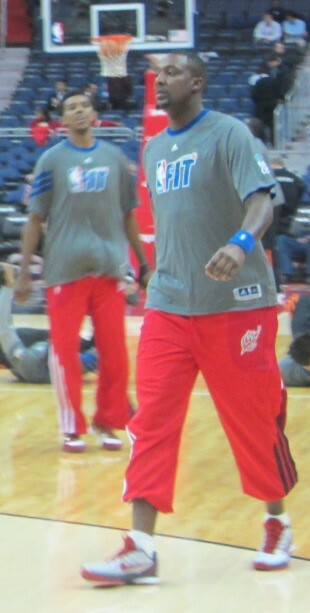 Andray Blatche began his seventh season as a member of the Washington Wizards as a man with something to say. We all know about his Media Day proclamations of giving 100-percent and being willing to die for this game. Granted, someone saying they will do something has a much different connotation than someone saying that are willing to—the latter makes it sound negotiable. Blatche probably did not give this speech on his own accord (although this is the same man who pronounced himself team captain), and the chances are slim to none that the crowd really took his words seriously. 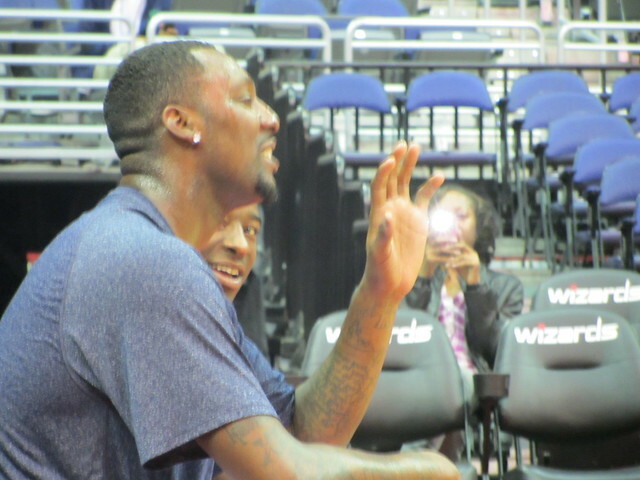 Still, the very fact that Blatche was willing to address the pre-game crowd a la Antawn Jamison gave a glimmer of hope to fans, coaches and teammates, that he was ready to embrace a leadership role for the Washington Wizards. However, just two hours later, after the Wizards lost 90-85, Blatche (who had 11 points, 10 rebounds and three assists in 39 minutes) complained about not getting the ball enough in the post, where he believed his effectiveness could be maximized. 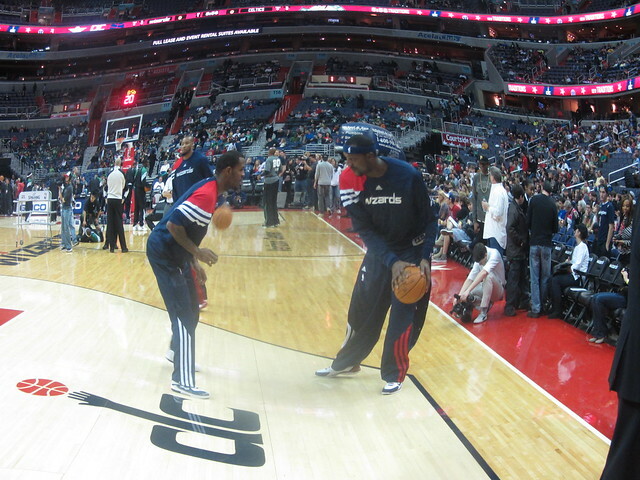 Blatche’s opening night highs and lows not only served as a microcosm for his 2011-12, lockout-shortened season, but for his tenure in Washington overall. There were moments of brilliance like, when he scored 28 points in a loss against the Boston Celtics (and played peacemaker in an effort to keep Flip Saunders from being ejected), but there were many more examples of an uninterested, disengaged player. One time against the Orlando Magic he earned a goaltending call on a free throw and inexplicably shot a fadeaway jumper on a 2-on-1 fastbreak. His uninspired play led to an unrelenting cascade of boos from the Wizards fans, which had coaches like Doc Rivers, and players like Al Harrington feeling sorry for what he had to endure. A five-week absence due to a strained calf muscle in late January,temporarily rescued Blatche from the embarrassing boos until the beginning of March. That embarrassment returned tenfold when he was benched for the last 22 games of the season due to a lack of conditioning. It is worth noting that Carmelo Anthony (no games missed), Paul Pierce (no games missed) and Dirk Nowitzki (four games missed) all suffered from that same malady—showing up for the lockout-shortened season out of shape. Somehow they were able to avoid being shelved prematurely. Blatche’s season ended, much like it began. He promised to look within, he claimed to understand how pivotal this summer was to his basketball career, and vowed to work hard. 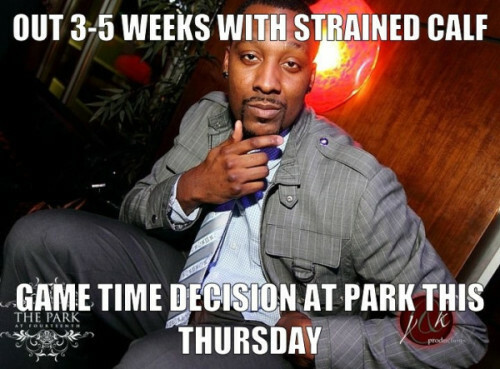 Stop me if you’ve heard this before..
Due to a history of questionable work ethic, a high-profile partying image off the court and only flashes of consistent play in his Wizards career, Blatche’s margin of error with the fans was already razor slim. Once he complained about not getting the ball after the opening night home loss to New Jersey Jets, the relationship was all but done. The boos soon came during pre-game introductions and most every time he touched the ball. His teammates tried to rally around him and Flip Saunders criticized fans for the jeers, but Blatche, a human with sensitive emotions, was unable to focus. Blatche is due $24 million over the next three seasons. The Wizards have tried to move him for months, maybe years, and have found no takers. 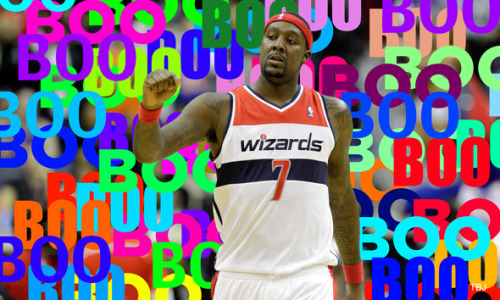 Sources close to Blatche have indicated to me that he wants out of D.C. The expected move is for Washington to use the amnesty clause to effectively pay Blatche not to be a Wizard. There is a slight possibility that the Wizards could keep Blatche and hope he performs well enough to package in a trade. The decision to extend a team president with a 9-year winning percentage of .390 was extremely unpopular among fans, the scenario of keeping Blatche could trump it immensely—and then some. I can see harsh Twitter reactions, blog comment sections piling with disgust, and national talking heads cracking more jokes about the Wizards franchise should this happen. 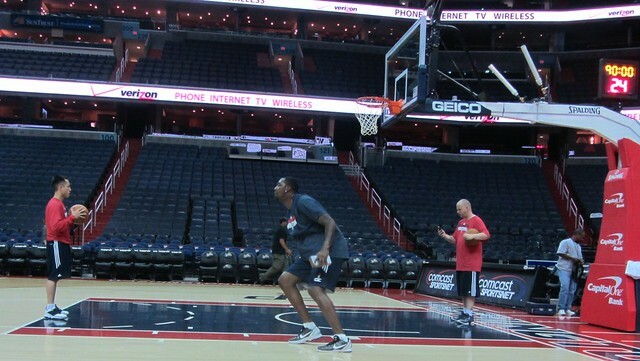 Local D.C. sports radio would use Blatche to make Albert Haynesworth a distant memory. I can envision fans coming to games just to boo him. 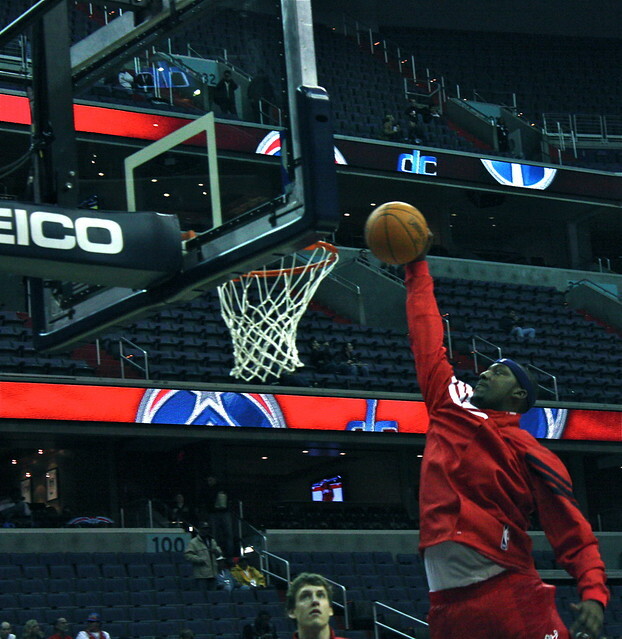 Blatche is a talented specimen, but the NBA is full of gifted, athletic freaks. If Andray wants to continue to be a professional basketball player, he must modify his game. There is little value for a 6-foot-11 power forward who shoots erratic, off-balance 20-foot jumpers and he will no longer get 5-10 isolation opportunities a game. The only path forward is for him to battle down low for boards and easy scoring chances, and only then work his game out from there. Sure, he lacks athleticism, but he can still be crafty around the rim. Being a back-up big, playing 15-20 minutes a game and contributing positively is not that far-fetched. Just look at what Boris Diaw is doing in San Antonio compared to appearing fat, lazy and spent in Charlotte. In Blatche’s interview before the last game of the season, it seemed quite clear that he still does not grasp this concept and mistakenly believes that he needs to get back to playing “his” game. Back to being Andray Blatche. I like ‘Dray. He comes across as a good guy, he’s funny, and the personable interaction he has with fans should be emulated by more athletes. I hope he is able to find his way, but it should not be in Wizards uniform. His time in D.C. needs to come to an end. I see a dark future … where Andray Blatche remains a Wizard for at least one more season. Both team and player desperately need a fresh start, but they seem to be stuck with each other. 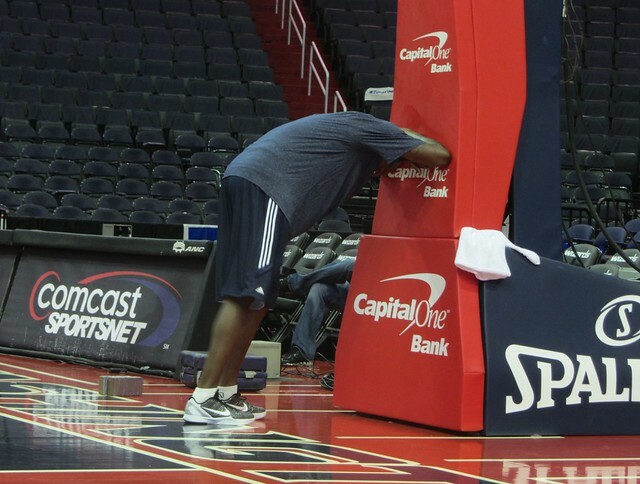 The Wizards prefer to deal Blatche, but no one wanted him at the trade deadline—for good reason—and I’m waiting to hear a rational argument for why the market for “out-of-shape, unhappy big men” would spontaneously heat up this summer. At the same time, Blatche is still just young, just inexpensive enough that the Wizards may not rush to amnesty him in this offseason. For “Seven Day Dray,” it’ll all come to a head during a seven day window in July (the 11th to 17th)—and I’d put money on him sticking around. Perhaps this is another gloomy prediction from the most pessimistic writer at TAI. But unless Washington packages Blatche with draft picks, expiring contracts, or some other asset … steel yourself for a few more years of boos and jeers. 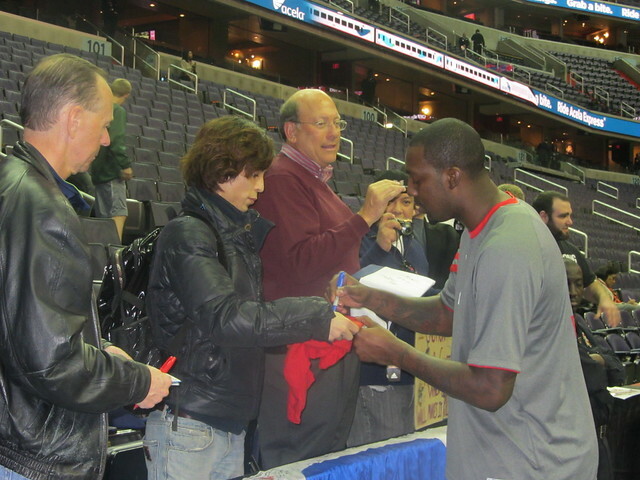 So Wizards fans better pray that ‘Dray finds religion over the summer. Or failing that, a better trainer. After everyone realized Blatche wasn’t going to improve his statistics from last season (which he managed to accomplish in each of his first six seasons), ‘Dray was shut down by coaching and management for “conditioning” reasons. After slogging through half-court sets, walking around on defense, sulking, and generally giving Wizards fans every reason to boo him (and boo they did), Blatche largely disappeared from the scene. As the season drew to a close, marked by the arrival of Nenê and increased team cohesiveness, Andray’s absence became an afterthought. Blatche did not fail to inspire this year, although not as a teammate or a leader. After starting the season as the team captain (an error quickly explained away by all involved—Captains were selected on a game-by-game basis, Flip Saunders said), his greatest contribution was creating endless content for the new website, www.andrayblatchesucks.com. The boos heard throughout the Verizon Center were staggeringly consistent and widespread, and this only served to make his sad face more visible. There was some noticeable guilt from the fan-base for such public derision; after all, he’s relatively young, was thrust unfairly into a leadership position for a struggling organization, and was expected to show maturity that he didn’t possess. Andray’s response to the public outrage at his very presence on the court was indicative of all of his responses during his time in Washington. Rather than elevating his play, or taking responsibility for his lackluster effort, he instead seemed to withdraw further from the team. No matter what, many people will remember ‘Dray as one of the worst Wizards of all time. The circumstances of the Wizards this year, combined with his personality and play, led to a perfect storm of personal crisis for Mr. 24/7. His future is unclear; will he bounce back and be able to salvage his career? Or is this the beginning of the end? Keep your eye out for his name on party fliers in a town near you.